LIBERAL, Kan. – The Seward County Community College men’s tennis team cruised to a victory over Bethany College on Saturday at Blue Bonnet Park. The Saints improved to 6-4. Seward took an early 3-0 lead by sweeping in doubles action. No. 1 Nic Rousset and Sander Jans were victorious, 8-2, Francisco Vargas and Edgar Fougerit won, 8-3 and Hiro Ikeda and Nyathi Motlojoa were 8-0 winners at No. 3 doubles. In singles action, No. 2 Alex Mesquida-Berg won, 6-0 6-2, No. 3 Carlo Izurieta was victorious, 6-1, 6-0, No. 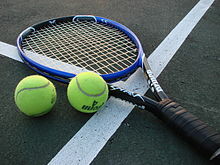 4 Franck Soulerot did not lose a game at 6-0, 6-0, Nyathi Motlojoa posted a 6-0, 6-2 win and Hiro Ikeda won, 6-2, 6-0. The lone Seward loss was at No. 1 with Hugo Lobo winning the first set, but losing the next two, 6-3, 6-7, 8-10. The Saints travel to play at Cowley College at 2 p.m. on Sunday. Lady Saints blanked short-handed Bethany, 9-0. LIBERAL, Kan. – The fifth-ranked Seward County Community College women’s tennis team earned an easy 9-0 team victory over Bethany College, which only had three players compete, on Saturday at Blue Bonnet Park. The Lady Saints are 6-3 on the season. Bethany defaulted in five matches, two in doubles and three in singles. The Lady Saints swept the remaining four contests and lost only one game in the process. In the lone doubles match, Alena Macharova and Sofia Belluco took an 8-0 victory. On the singles side, No. 1 Patricia Panta won, 6-0, 6-0, No. 2 Alisa Handrugan posted a 6-1, 6-0 victory and No. 3 singles Eva Liu won, 6-0, 6-0. The Lady Saints will play at Cowley College at 2 p.m. on Sunday.